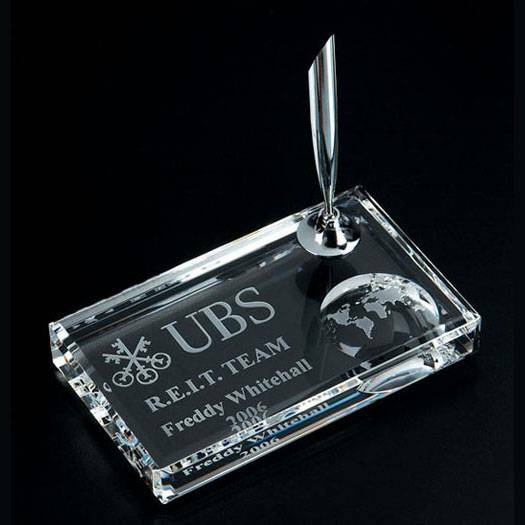 Product Description: Display your companys logo or recipients name in style with this optical crystal globe pen set. Its the perfect custom award or corporate gift to give. Pricing Notes: Silver funnel & pen attached and included. Text and/or logo engraving is included in the price. Production Time: Please allow 5-7 business days for orders under 6 items.